This “Cheese” sauce is so good. 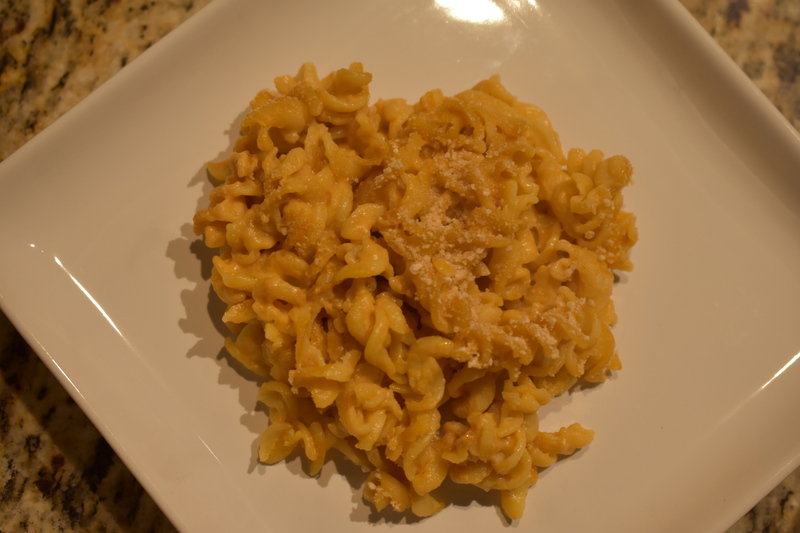 It is good enough to serve all by itself in this Mac-n”Cheese” dish. One thing I like about this dish is that it is made all in one pot. From stovetop to oven. It is also very easy to make. Easy to make and easy to clean up. That is a win-win. Fill large dutch oven with water and cook pasta according to brand directions. Add pasta to cheese sauce. Stir so all the noodles are covered with the sauce. Sprinkle bread crumbs on top of pasta mixture.